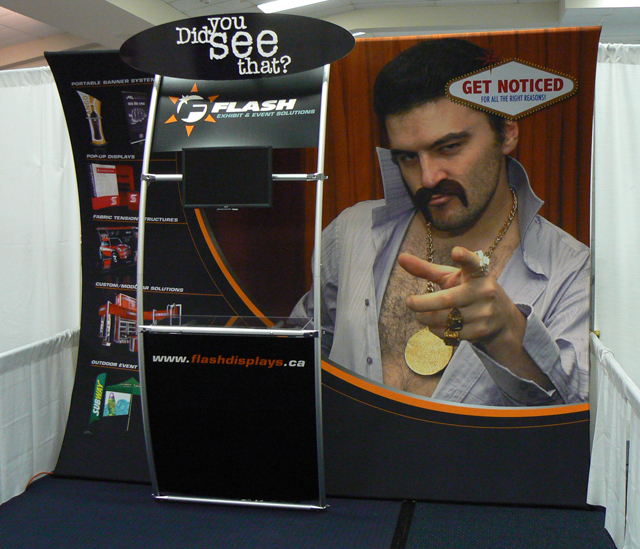 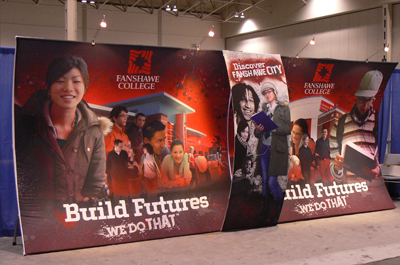 Flash Exhibits & Event Solutions leads the industry with Digitally Dye Sublimation printing technology on Fabric. 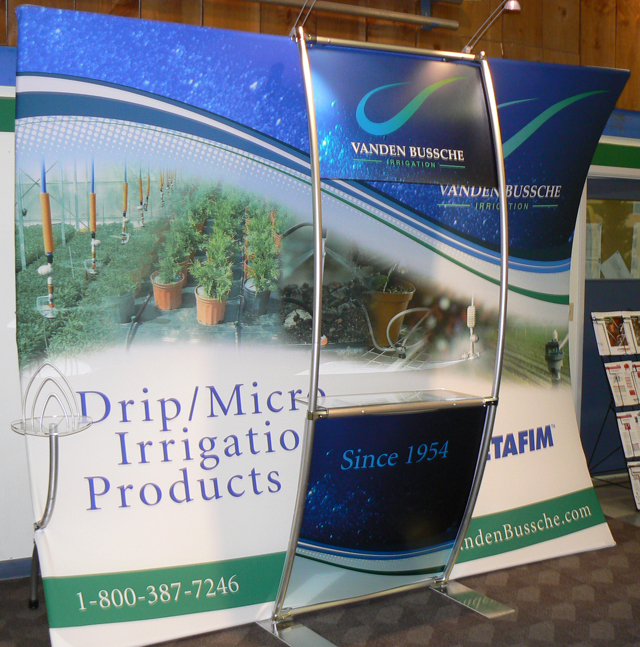 Our Frames are constructed using 1″, 1.25″ or 2″ anodized aluminum tubing offering strength and light weight. 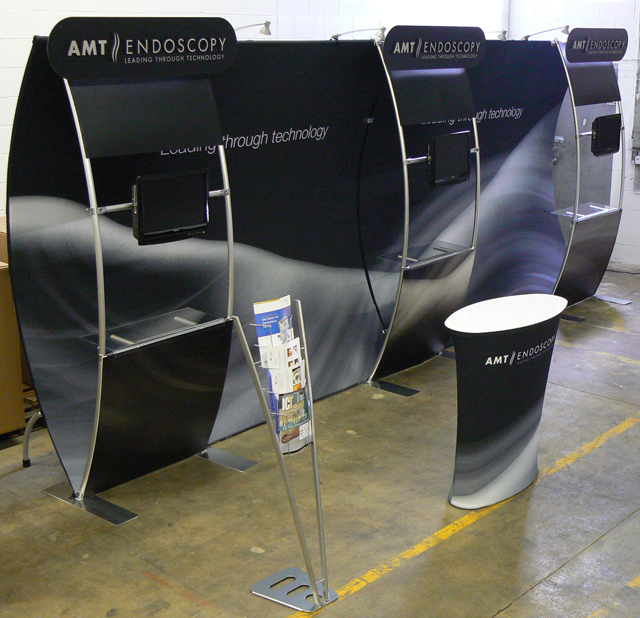 We offer numerous finishing capabilities, lighting, rotation kits, coloured tubing and fabric choices to meet your needs and design preferences. 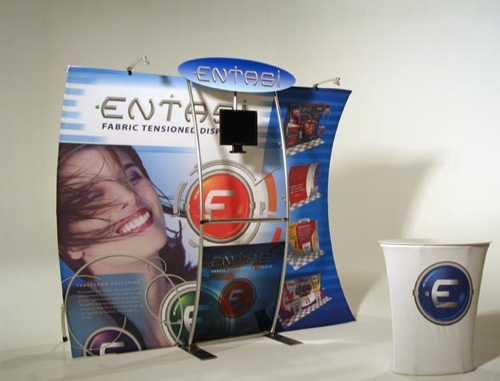 The Entasi display system is the most convenient and effective product in the portable display industry. 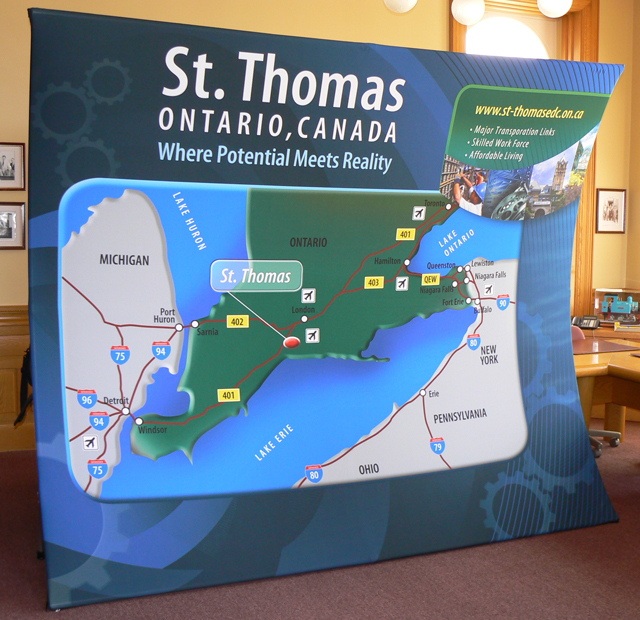 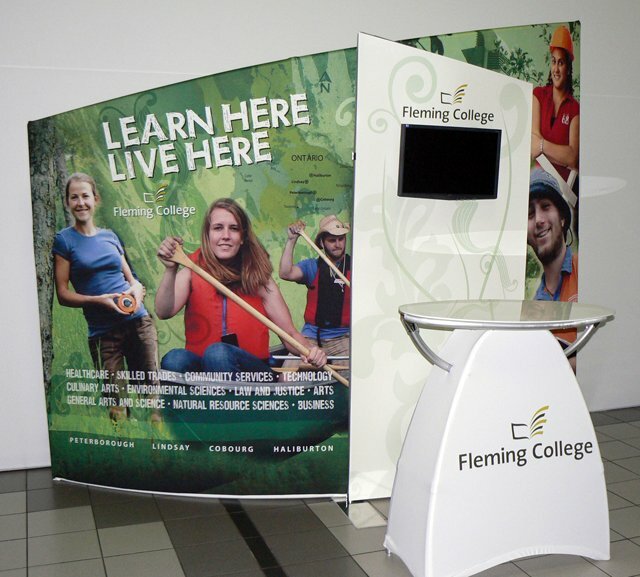 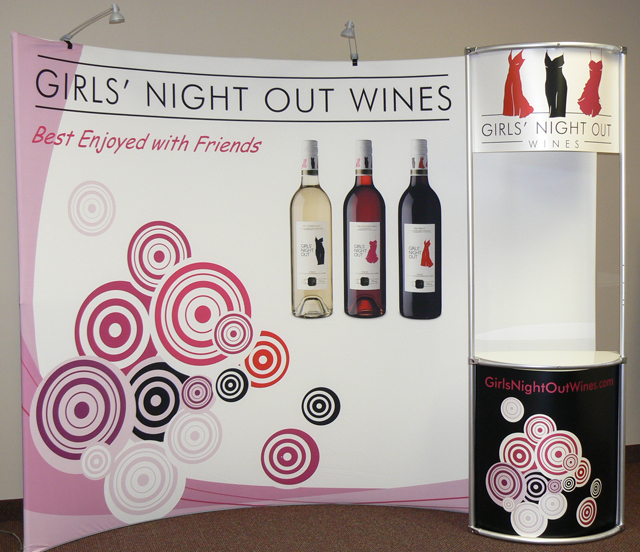 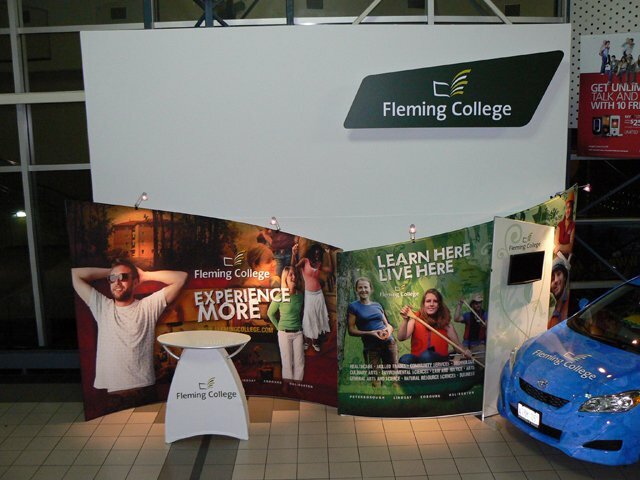 We combine a sturdy aluminum frame, high quality Photo Fabric graphic, and numerous accessories to create this one of a kind system with endless configurations – Vertical Curve, Sloping, Web, Wave shapes and more! 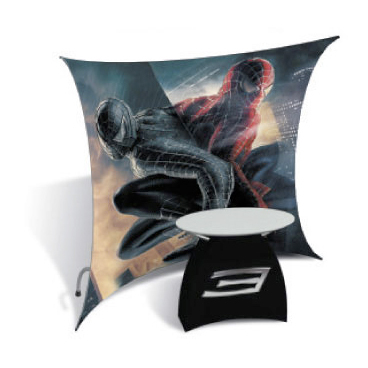 The main graphic is produced on a wrinkle resistant flame retardant fabric through an exclusive Photo Fabric dye sublimation process. 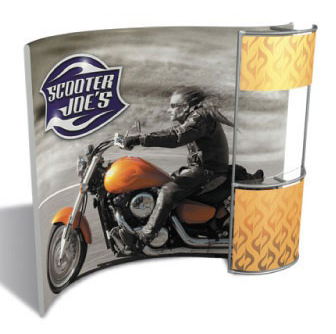 By using pillow case construction and an exclusive Clean Fit Backer, we eliminate shadowing and ensure a smooth, snug fit. 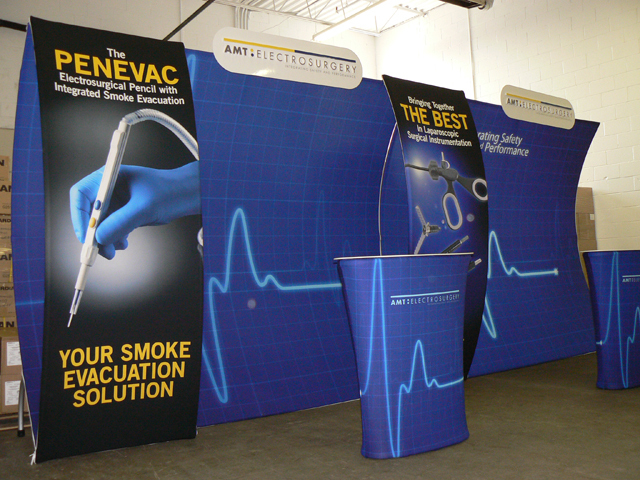 Entasi is a complete display system. 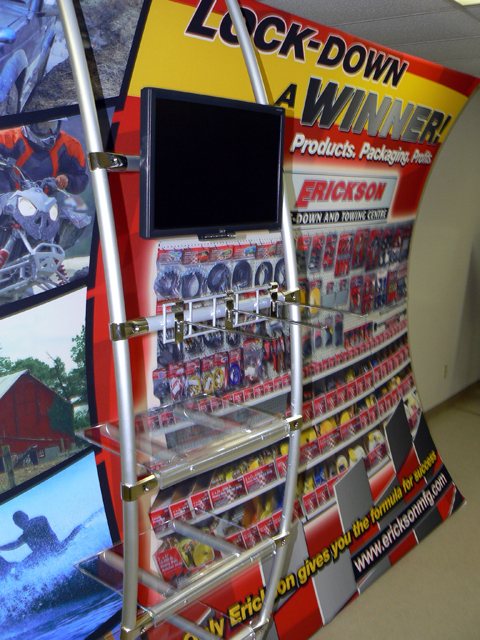 With numerous accessories such as monitors, shelving, and grid-wall components, there are unlimited options for displaying and presenting your product. 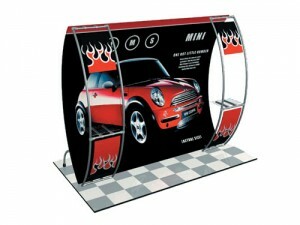 All these features make Entasi the hottest display product on the market! 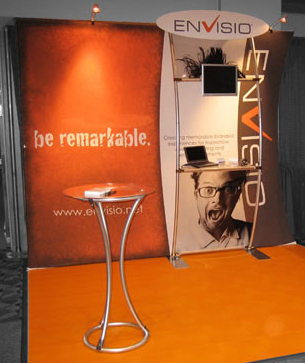 Entasi is both quick and easy to set-up with the Entasi quick lock connectors requiring no tools to set-up. 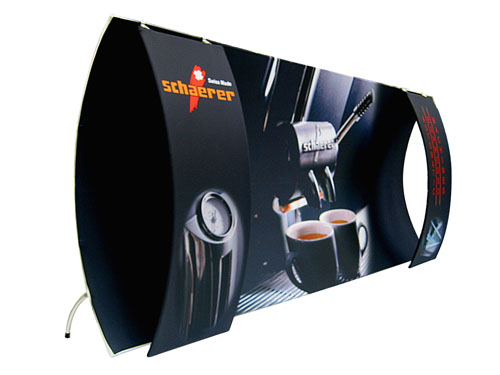 The connectors come pre-attached to the tubing and tubing is shock-corded together, so there is no need to sort or match up parts.